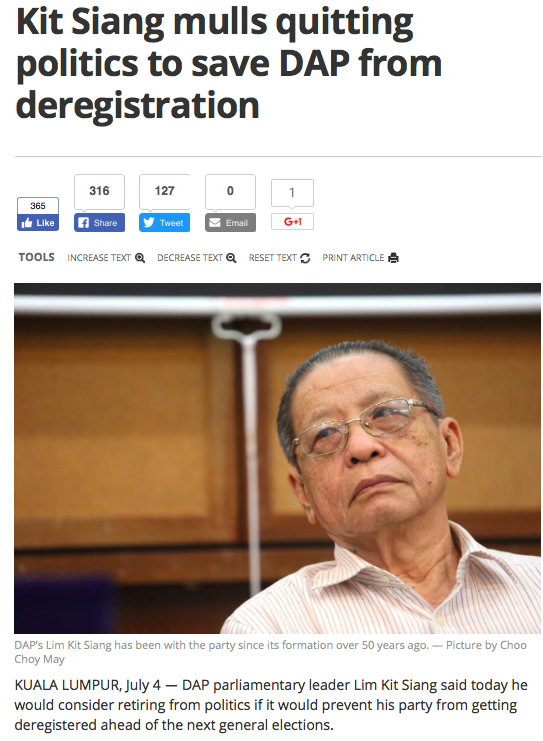 There is nothing democratic about the Democratic Action Party (DAP). I made note of the results as they came out and quickly blogged about it. 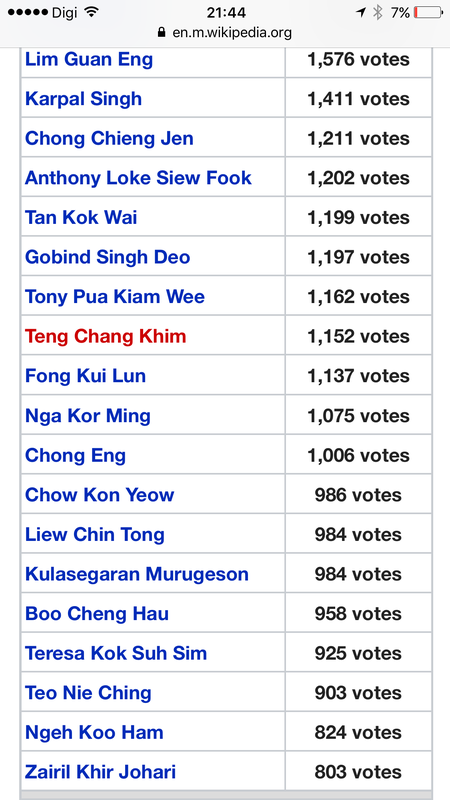 Christopher Ross Lim, the Chinaman who goes by the Malay name Zairil Khir Johari could only muster 305 votes despite being Tokong’s closest lieutenant. 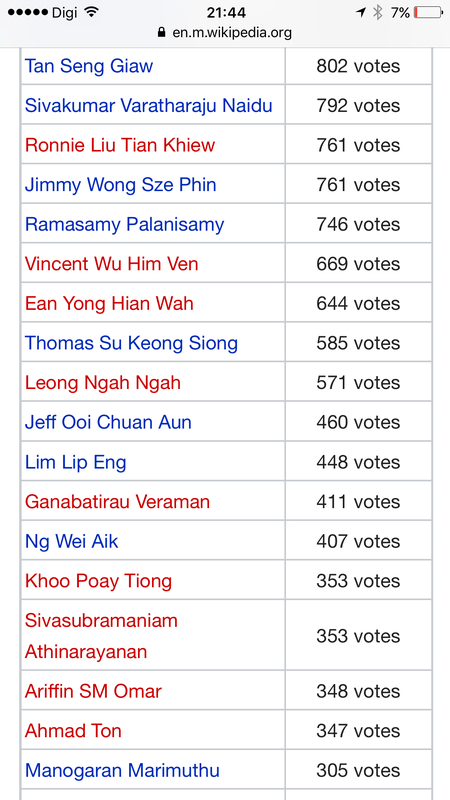 You can see that Christopher Ross Lim, who only managed to get 305 votes, suddenly received 803 votes and made it as an “elected” member of the CEC. Vincent Wu disappeared from the Top 20 list. Guess who was at Number 21 and just one vote down? The ROS has since rejected the results asking the DAP to provide proof that there was indeed a glitch in the software. ROS deems the current CEC members as well as those holding positions in the DAP as invalid and has instructed the DAP to hold fresh CEC re-elections. 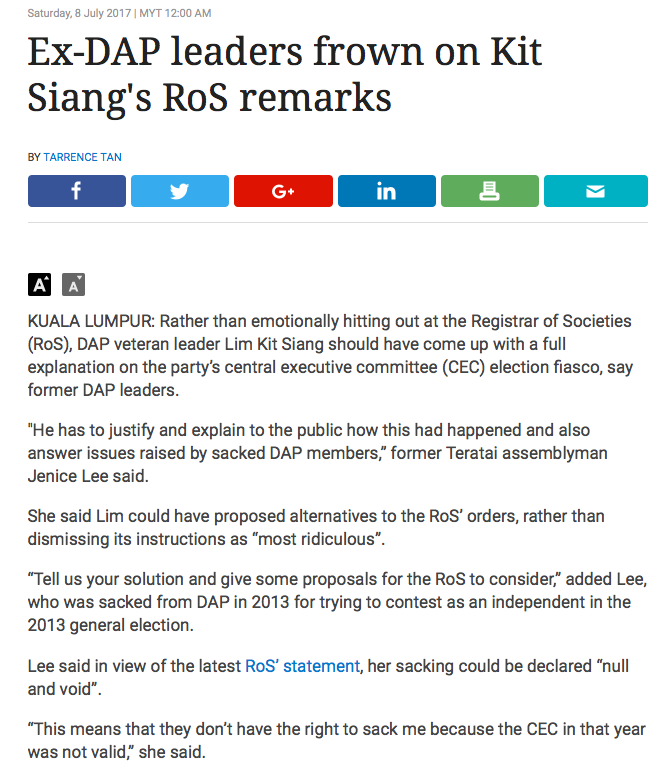 This has prompted Emperor Lim Kit Siang to hit out at the ROS citing the directive given as ‘most ridiculous.’ Are the Emperor’s balls shrinking now that he knows his team cannot win without cheating? Is he afraid that the diminishing popularity and increasingly dictatorial son will influence the CEC re-elections? You can read here how the Emperor cheated in the CEC elections to win. The DAP will be holding a meeting tomorrow (Saturday 8 July 2017) to discuss the ROS directive. It is widely believed that the DAP will be challenging the ROS’s directive in court in order to be able to contest in the next general elections. 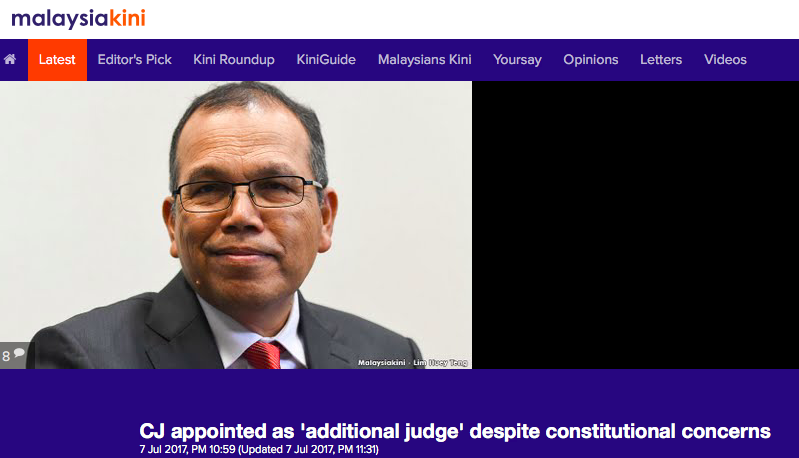 This is because the Red Bean Army has now begun to play on the issue of the Judiciary after the appointments of the Chief Justice and the President of the Court of Appeal as additional judges of the Federal Court. The DAP will definitely use ‘questionable impartiality’ of the Judiciary in case the court decides in favour of the ROS later. But that is all DAP’s game. 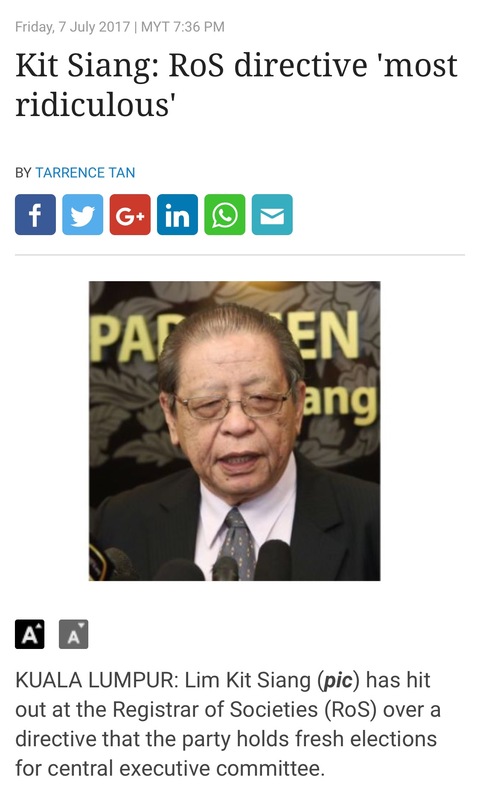 And this game can end with the resignation of both Emperor Lim Kit Siang and Tokong Lim Guan Eng who has been charged in a court of law for abusing his office to conduct corrupt practices. Only then can the DAP be saved, as envisioned by the Emperor himself. Meanwhile, former DAP leaders have frowned on the Emperor’s remarks. Janice Lee, who is a former DAP state assemblyman for Teratai, said that Lim Kit Siang has to justify and explain to the public how this (irregularity) had happened and also answer issues raised by sacked DAP members. “This means that they don’t have the right to sack me because the CEC in that year was not valid,” she said. Former DAP life member Shamsher Singh Thind said that as a leader of a so-called democratic party, Kit Siang must ensure that party matters were dealt with transparency and integrity. 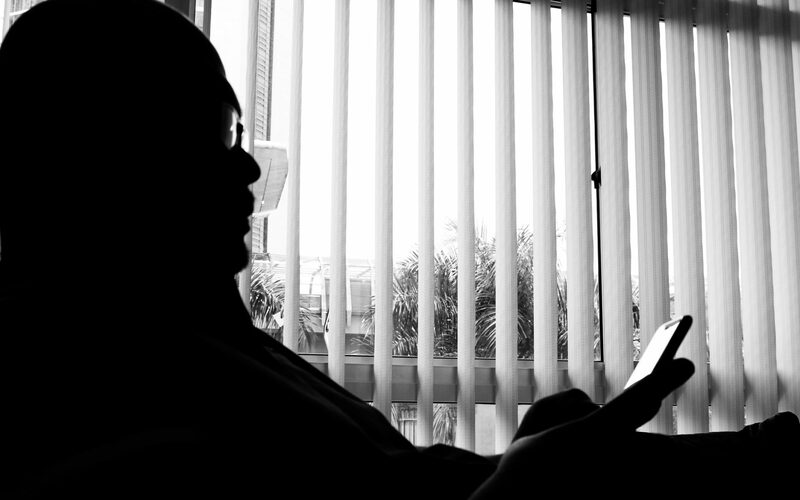 “You must ensure people can see that you have done everything by the book, which means you should hold a re-election to sort this matter out once and for all,” he added. Will the Emperor and his son Tokong resign now?